Some of you probably noticed that you can’t change the network location in Network and Sharing Center, it’s somewhat true. This is similar if you pressed No, don’t turn on sharing or connect to devices to this screen. Fip: send me a screenshot if you can’t figure out how to do, and I will help you offline. I have been struggling with this for hours now, I inadvertently chose the wrong option at the beginning. I have seen the HomeGroup screen several times and there is no option to “change network location”. Nor does that turn sharing on/off screen appear when I right click on the name of my network in the pop-up network list, as other guides have said it will. Not sure why. 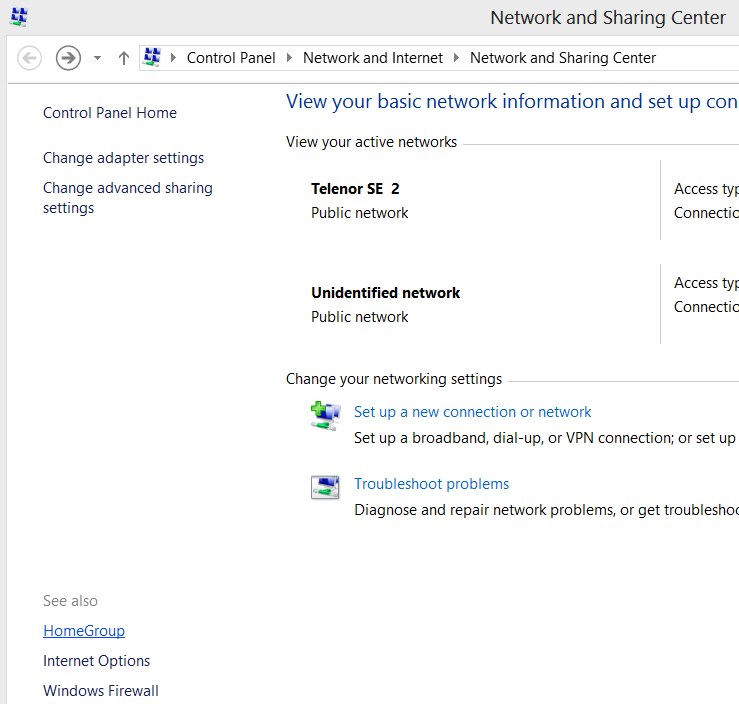 I just read your article on Windows 8: Change network location « Deploy Windows and want to thank you for it.